John Fish, chairman of Boston 2024, said his group will support a statewide referendum. Boston Olympic organizers, seeking to regain the public trust after eight weeks of bruising criticism and sharply declining support, reversed course on Tuesday and said they would sponsor a statewide referendum on their plans to bring the 2024 Summer Games to Boston. Boston 2024 officials, who initially opposed a referendum, said that if a majority of voters in Massachusetts and in Boston do not vote in favor of the Olympics on the November 2016 ballot, they would abandon their bid. The announcement was designed to help Boston 2024 seize control of the debate over the Olympics and give it time to persuade the public that the Games would not harm taxpayers or add to the city’s problems with public transit and traffic. “All we ask is an opportunity to have a constructive dialogue with everybody in the Commonwealth . 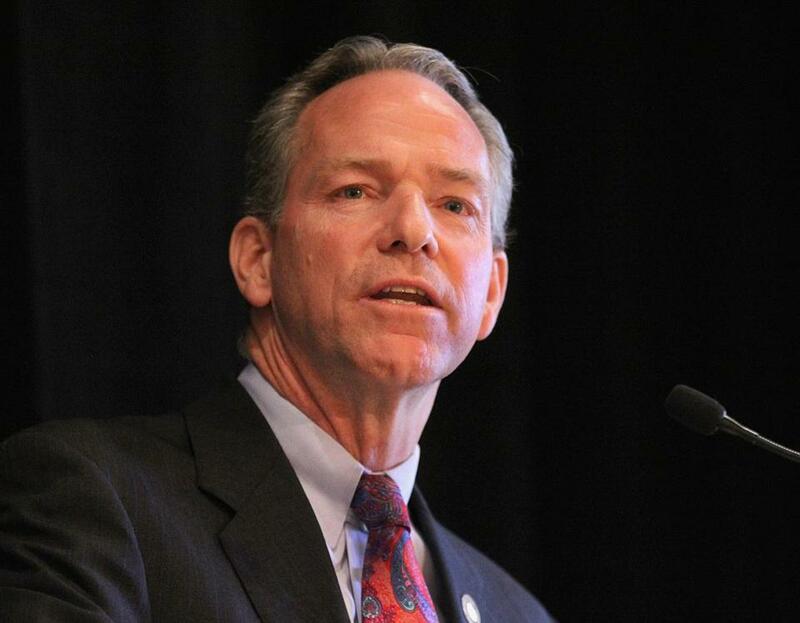 . . of how these Games, the Olympic and Paralympic Games, can benefit our community,’’ John F. Fish, the chief executive of Suffolk Construction and chairman of Boston 2024, told the Greater Boston Chamber of Commerce on Tuesday. Only a third of Boston-area voters currently support the bid, down from 51 percent who backed the effort in January when the city was first chosen by the United States Olympic Committee, according to a WBUR poll released last week. Outside groups can only sponsor ballot questions that enact or repeal laws or instruct lawmakers to enact or repeal laws. With a potential referendum 19 months away, Boston 2024 believes it can move beyond a recent spate of controversies over its salaries and transparency, and harness its deep ties to the political and business establishment to wage a successful campaign for the bid. Political analysts pointed out that the group is stocked with high-powered executives, who could help finance a ballot campaign, and has hired the top advisers to Governor Charlie Baker, Mayor Martin J. Walsh, and former governor Deval Patrick, all of whom have extensive experience in statewide races. Walsh is also an enthusiastic backer of the bid, and his aides have begun to activate his political machine to boost flagging support for the Olympic effort. The referendum gives him and his operatives a clear deadline to work toward. Walsh said that, despite falling support for the bid, he was confident a strong majority of Boston voters will back the referendum once they learn more about the Olympic plans. “I don’t think 70 percent is unattainable,” he said. Analysts said electoral conditions could be favorable for an Olympic vote in November 2016. With a presidential race at the top of the ballot, the election is expected to draw a large turnout of voters who are young, lower-income, and of color — groups that polls show are already among the strongest backers of the city’s Olympic efforts. Still, Boston 2024 has significant work to do to win back public support. WBUR’s poll last week indicated that just 36 percent of Boston-area residents support the bid, compared to 44 percent who backed the effort in February and 51 percent who favored it in January. In the city of Boston itself, the numbers are only slightly better for Boston 2024 — 41 percent currently back the bid, compared to 50 percent in January. During that time, Boston 2024 has struggled to address criticism that it has proposed building venues across the city without consulting local landlords and neighborhood groups, and has not put together a solid plan to protect taxpayers from potential cost overruns. Boston 2024 has also sparked criticism for hiring a bevy of high-priced political consultants, including — at least temporarily — Patrick, who was to be paid $7,500 a day when he traveled to lobby the International Olympic Committee. That plan was scrapped after criticism from Walsh and others. Boston 2024 officials said they have not yet crafted the wording of the ballot question, but are aiming for a simple up-or-down vote and not a blanket ban on the use of taxpayer funds, an idea being pushed by Olympic critics. The group, however, may face a legal hurdle just to reach the ballot. 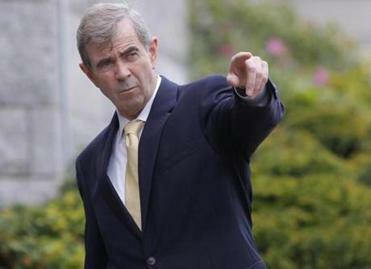 Secretary of State William F. Galvin, the state’s top elections official, said the Massachusetts Constitution does not allow Boston 2024 or any other group to sponsor a referendum to test public support of an issue. Outside groups, he said, can only sponsor ballot questions that enact or repeal laws or instruct state lawmakers to enact or repeal laws. Only the Legislature, Galvin said, can initiate a referendum to gauge public sentiment on a particular issue, with no law at stake. Galvin suggested that lawmakers sponsor a question for the presidential primary ballot in March 2016, before voters are bombarded with ads during the general election that fall. In November 2016, “it seems to me it’s going to get swept away,” he said. Boston 2024 said it would work with Galvin and others to craft a question that passes legal muster. In an effort to build confidence, Boston 2024 also plans to announce a board of directors, which would include representatives from the offices of the mayor and governor and from past Olympic bids. The group’s leaders said they realize they have made mistakes and want to listen to residents and improve their bid. Still, they said, a firm plan of where all the venues will be located and how much each will cost will not be ready for public scrutiny until sometime next year. Chris Dempsey, a cochairman of No Boston Olympics, the leading opposition group, said he was glad Boston 2024 had decided to back a statewide vote and believes the question should address the use of taxpayer funds for the Games. Evan Falchuk, who ran as a third-party candidate for governor last year, said he would continue to pursue his own ballot question to ban the use of taxpayer funds on the Games. That raises the possibility that voters could see two Olympic-related questions on the 2016 ballot — one from Olympic boosters and one from Falchuk, an Olympic critic. Jon Chesto and Andrew Ryan of the Globe staff contributed to this report.